Do you know someone who wants to get started in pistol shooting? Here’s a new opportunity. 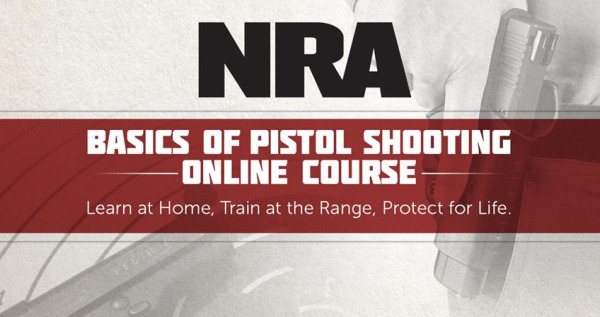 The NRA now offers its Basics of Pistol Shooting Course in an online format. That makes it easy to cover the “classroom” part of the course on your own time. The $60.00 online course includes 11 step-by-step lessons (to be followed by live range training). CLICK HERE to enroll in online Pistol Training Course. For the NRA Basics of Pistol Shooting course, Phase 1 is conducted in an online environment, completed on your own time (cost is $60.00, non-refundable). After successfully completing the online exam, students can register for Phase 2, the instructor-led training session. Phase 2 is conducted at your local range with an NRA Certified Instructor. You must successfully complete Phase 1 and Phase 2 in order to receive your NRA Basics of Pistol Shooting course certificate. Designed and developed by experts to accommodate busy schedules, the web-based course takes a blended learning approach to firearms training with both online and physical components. Students have 90 days to work through 11 online lessons before registering for Phase 2, the NRA Certified Instructor-led phase at a local range. “America has more first time gun owners than ever and the NRA remains dedicated to being the number one provider of firearm training,” said Executive Director of NRA General Operations, Kyle Weaver. “Thanks to our online courses and network of more than 125,000 NRA Certified Instructors, it has never been easier to learn basic firearm skills.” The NRA offers other online training courses at Onlinetraining.nra.org. These offerings include a Range Safety Office (RSO) course, and a Range Development and Operations course. 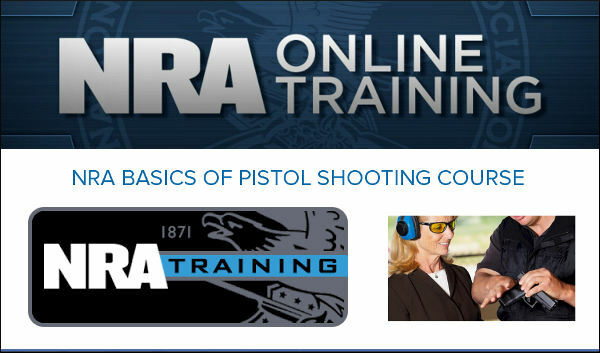 Share the post "NRA Basics of Pistol Shooting Course Now Available Online"
The online course is NOT free (follow the enroll link and refer to the section titled “registration and payment”). The fee is $60 for just the online portion. Then you have to arrange for an instructor to accomplish the range portion – typically for an additional fee (also not free) as set by the instructor. Editor: Dennis, you are right, and we have corrected the article. In this case we relied on news releases from the NRA, none of which mentioned any fee. However, it does say “The price of Phase 1 is $60.00″ if you scroll down to the bottom of the Pistol Course description page, just as you noted.